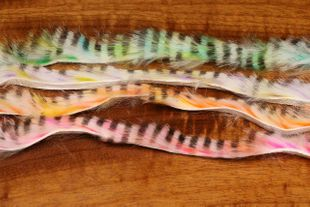 The last decade has seen fly tyers go crazy figuring out cool new ways to put rabbit fur on hooks to lure fish to hand worldwide. 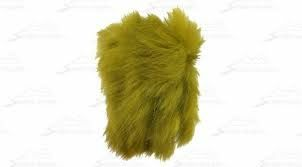 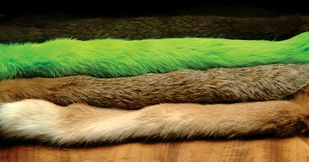 The availability of different colors and types of on-the-hide rabbit fur products is so diverse that it becomes difficult, sometimes, knowing where to start. 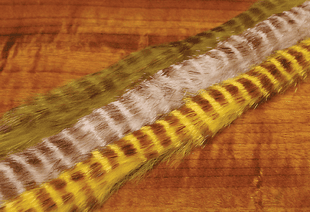 Salmon and steelhead � check. 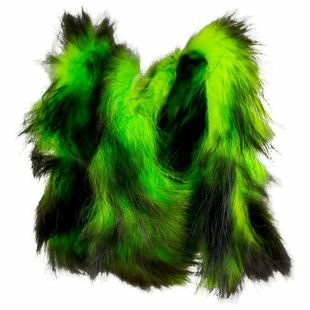 Bass � yep. 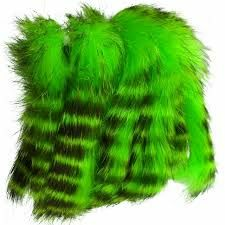 Bonefish � sure. 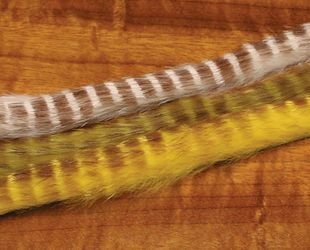 Tarpon, pike, piranha, peacock bass, hammerhead sharks, and Loch Ness monsters � absolutely. 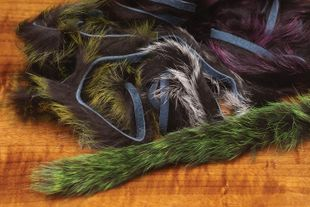 Rabbit is an extremely versatile fly tying material because the fur-on-hide is so easy to use � and the combination of colors and material sizes is amazing. 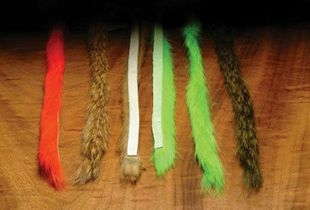 BTW, this selection of rabbit strips and crosscut rabbit is the same sort of fanaticism that keeps us on the cutting front of the fly tying supplies, fly tying kits, fly tying materials, fly tying hackle, and fly tying feathers game. 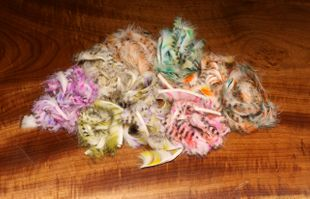 Sources All of the rabbit-hide fly tying products distributed by Hareline Dubbin and offered by the Caddis Fly Shop are from domesticated breeds. 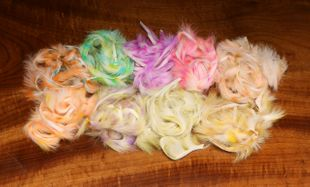 Color Types � the variety is staggering and includes natural shades; white hides dyed a single color; hides with the under-fur one dyed one color and the guard hairs a different color; hides with the under fur dyed one color and barred stripes across the guard hairs; hides that are dyed two-tone with black, brown, or olive bars across the tips; fluorescent colors; natural subtle colors; flesh tones; and practically unimaginable colors. 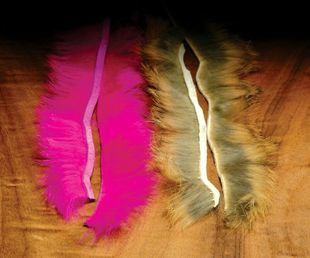 Hide Cut Styles Crosscut � cut across the hide. 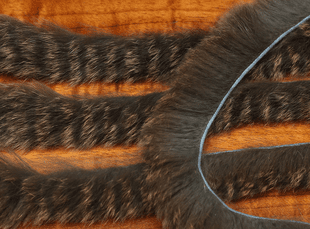 Crosscut is only offered in 1/8�. 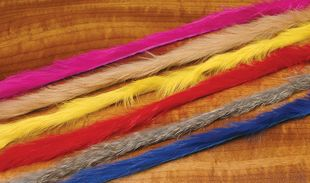 Strips � cut from head to tail of the hide. 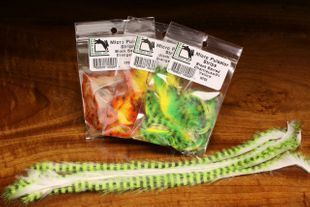 Strips are offered in micro, standard (1/8�), and magnum (1/4�) sizes. 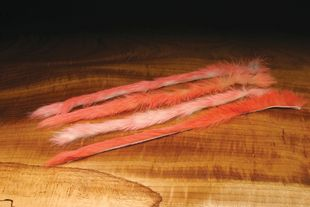 Rabbit fur on the hide, either cut along the grain or across the grain, is a must-have fly tying material for tying trout flies, salmon flies, steelhead flies, and tube flies and Intruders. 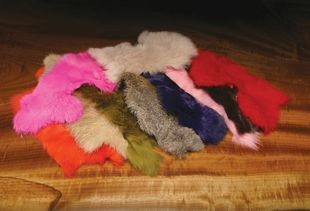 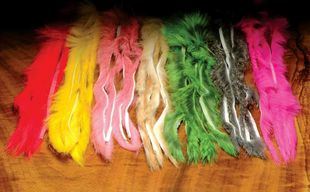 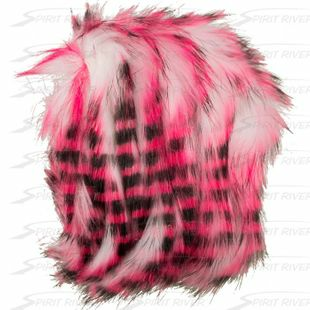 The stripped rabbit hides are fly tying materials that make great Matuka flies and tails on streamers and wet flies. 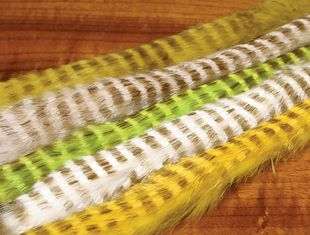 Cross cut rabbit strips are wound around the hook shank to make pulsating bodies and are used in many freshwater and saltwater fly patterns tied for salmon, steelhead, trout, tarpon, bonefish, permit, bass, pike, musky, bull trout, sea run cutthroat and more. 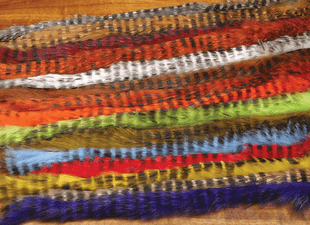 If you do not already have strips and cross cut rabbit strips, you need a lot. 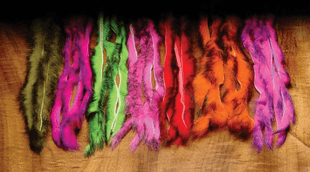 If you already have strips and cross cut rabbit strips, you need a lot more. 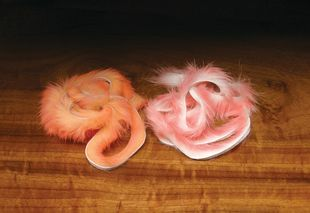 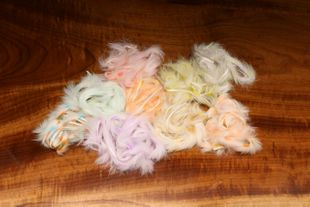 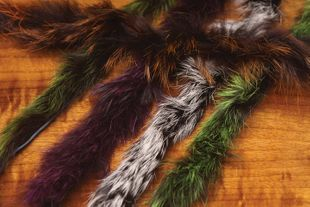 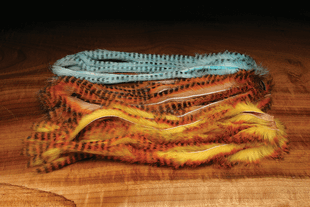 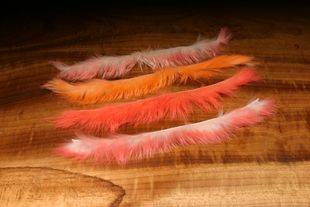 Check out the naturalish colors, the pure natural colors, and the dazzling dyed colors of rabbit strips for fly tying. 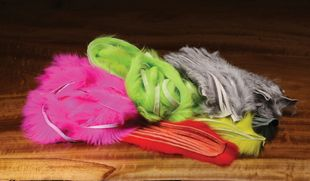 Hareline creates the best selection of stripped and cross cut rabbit fly tying supplies and fly tying materials in the known universe. 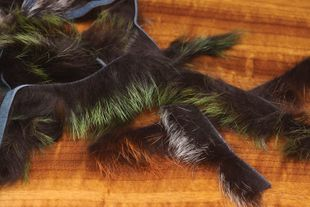 Hareline Black Barred Rabbit Strips 1/8"
Frost Tip Magnum Rabbit Strips 1/4"
Frost Tip Rabbit Strips 1/8"
Crosscut Frost Tip Rabbit Strips 1/8"